Protection you need with coverages you want. Protect your home and your belongings. Protect your business and your assets. Protect your commercial enterprise and your commercial assets. Protect your livelihood from loss and damages. Protect your condo unit and your belongings from damage. Protect your home away from home. Protect your vehicle and your family on your cross-country journey. Protection on the open water. Protection for your snowy adventures. 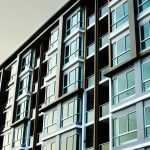 How Much is Condo Insurance? Which Type of Insurance is Right for my Business? The Jeffery & Spence team are true professionals who are dedicated to making sure you have an awesome experience. Working with their team has been great and I would highly recommend them to anyone! 10/10 - keep up the great work Jeffery & Spence. My family and I have been insured through Jeffery and Spence for 14 years, and we will all always be loyal clients to this wonderful brokerage. Subpar experience with astronomically high premiums and a total lack of communication. Highly disappointing where we were compelled to switch after 5+ years to an AllState brokerage. Have been with them for ages and wouldn't hesitate to recommend them to anyone. I have also gladly referred friends to them and they have taken good care of them as well! Built By Guelph Website Developers Intrigue Media. Additional accessible formats for this information are available upon request. Contact Us for more information. Copyright © 2018 Jeffery & Spence Ltd.
We’ll help you find the best insurance protection for your peace of mind.